The best clamps you can own for clamping small wooden boxes, dollhouse miniatures, model railroad structures and rolling stock, ship models, model airplanes, clock kits, etc. Beautifully made of solid brass at an unbeatable price. 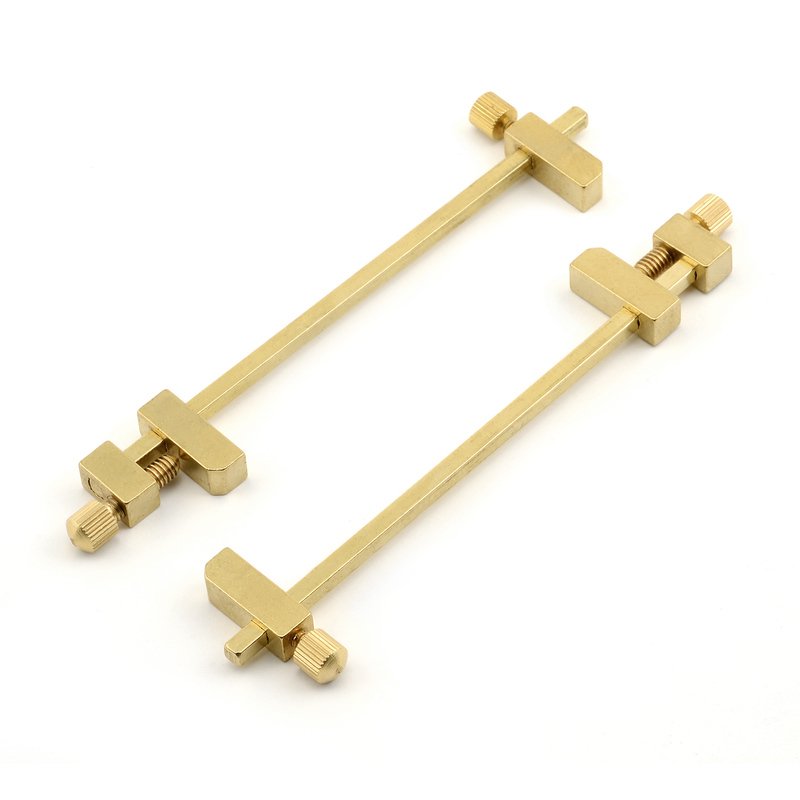 Set of two ultra-mini brass bar clamps with knurled tightening screws for delicate control. 3-3/4 inches long, approximately 3 inch clamping capacity.